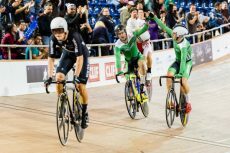 Ireland’s Mark Downey and Felix English have rounded off the final event in the Tissot UCI Track Cycling World Cup in LA with a gold medal win in the Madison. 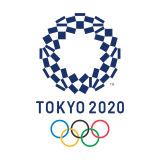 The Madison is a new event on the Olympic calendar for Tokyo and the Irish team have made clear their intentions with another dominant performance putting them in first place ahead of Denmark and New Zealand, adding gold to the silver they won last week at the World Cup in Cali. In the Individual Pursuit Anna Turvey finished tenth with a time of 3.43.639 and Eoin Mullen finished 21st in the Keirin. The Madison race is a fast and tactical event that involves a two rider team working together to cover 30km, or 120 laps of the track, slinging each other into action. There are sprints every ten laps, and bonus points for lapping the field. 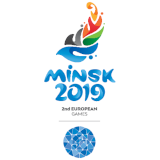 The Irish duo lapped the field at the halfway point before waiting for the perfect moment to launch their final attack on the field which secured gold. The UCI Track Cycling World Championships take place in Hong Kong on Easter Weekend from the 12th – 16thApril.